The Teen Choice Awards have been around for 17 whole years, if you can believe it. The original ceremony's 1999 audience has long left their own adolescence behind; the teen celebrity kings and queens have come and gone; but one enduring symbol of the youthful awards show remains the same: the Teen Choice Awards surfboard. Since the very first telecast, it has been handing out full-size surfboards to its winners instead of pointy statues. The design on the board changes every year, and it's a way hipper honor than a metal trophy that will only be forgotten on a shelf, though a little more difficult to drag backstage and into the press room. But why surfboards? 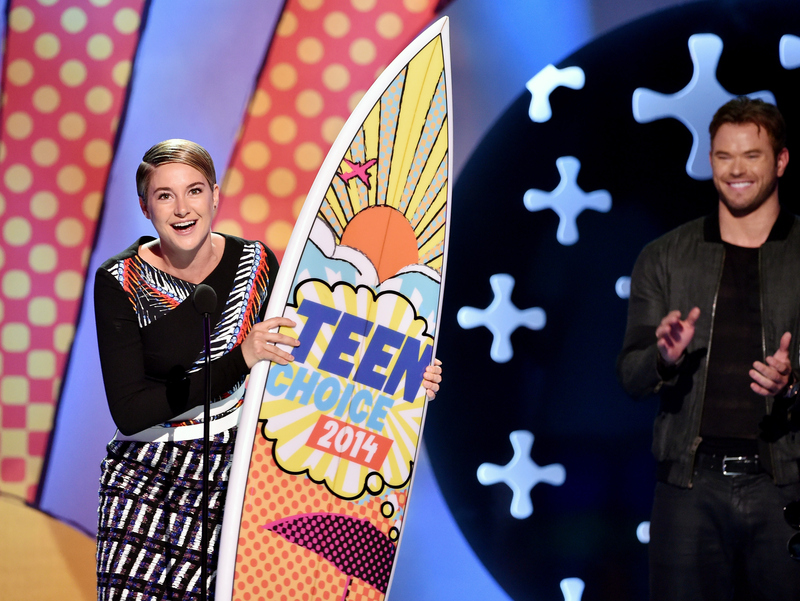 What do surfboards mean to the Teen Choice Awards? According to the Mirror, the Teen Choice surfboard is meant to signify the freedom and fun of summer vacation for the show's core audience. But I can't be the only current or former teen who's never touched a surfboard in her life. Summer vacations can consist of any number of activities. And, hello, the majority of the country doesn't live anywhere near an ocean. The Teen Choice Award is not likely to make a change after 17 years of tradition, but I'd still like to propose a few other symbols of summer that it should consider if it ever wants to shake things up. Physical activity? Hard pass. For many people, summer involves marathoning all the shows that your friends wouldn't shut up about during the year. I'd rather get up early to fit in another episode of Jane The Virgin than to catch some waves. That creamy, swirly treat becomes a full food group in the summer. Soft-serve ice cream can be a replacement for any meal and must be eaten at least three times a week during the month of August. Hey, I don't make the rules. Teens are under as much stress during the school year as the CEO of a Fortune 500 company. Summer is the season to make a dent in the massive sleep debt racked up by AP classes, SAT prep, and editing the school newspaper because it'll look great on those college applications. Sleep, my pretties. You've earned it. Oh, the mall. Where else can you wander aimlessly for hours without getting kicked out, making a meal out of orange chicken samples and stroking the same four Banana Republic sweaters every other day? I mean, for me it's not summer until the lightest wisp of cotton touching my body feels like a cattle brand scorching my skin. Not every teen gets summer freedom, OK? Shout out to the kids working away at thankless summer jobs to pay for school, help out at home, or just to have a little extra cash-in-pocket. You are our summer warriors, and we salute you. Of course, the Teen Choice Awards telecast has become a summer tradition in its own right, which is why I'll be watching the 2015 awards this Sunday at 8 p.m. on FOX.